10 minutes from downtown Norfolk, 15 minutes to the Greenbrier shopping district, 20 minutes to the Airport, and 25 minutes to the Oceanfront. Bisecting the community, the tidal Indian River, a tributary of the Elizabeth River, has significant acreage of surviving salt marsh, natural shoreline, fishing, crabbing, and provides a year round habitat for wide variety of wildlife. The headwaters of the river’s eastern branch are sheltered by the 90 acre Indian River Park with a century old forest and almost 4 miles of trails. The first Land Grants in the area were given to Englishmen with names of Tatem, Portluck, Halstead, Cornick, Sparrow, and King in the 1650’s and farmers systematically cleared and drained the forests over the two centuries. During the first great wave of suburbanization in the late 1800’s and early 1900’s, the first Indian River Road Bridge was built, the community of Oaklette was founded, and Norfolk Highlands was subdivided. It’s very fortunate that the 90 acre Indian River Park was set aside in 1904 in the waning years of the original City Beautiful movement of the late 1890’s and early 1900’s. Development really took off after World War 2 when Military Highway opened up the area. In 1963, the area became part of the new City of Chesapeake. 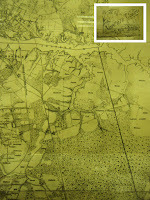 1887 Map of Indian River area - photo of original map hanging in History Room at Chesapeake Central Library on Cedar Road. City School System: Most of the Indian River area is served by Norfolk Highlands Primary , Gerogetown Primary , Sparrow Road Intermediate, Indian River Middle, and Indian River High School. 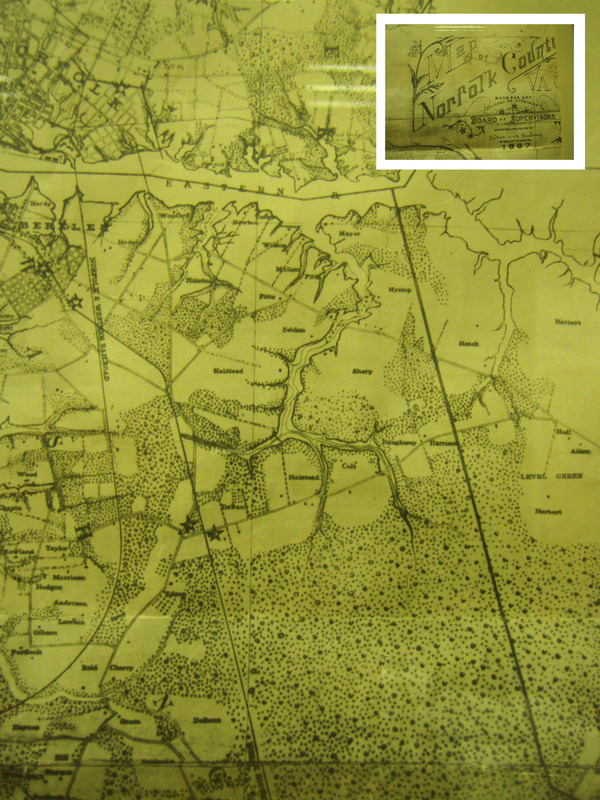 The Campostella neighborhood, orginally part of the historic city of South Norfolk is served by Thurgood Marshall Elementary, Oscar Smith Middle, and Oscar Smith High School (the last two located in South Norfolk). Indian River Park - 2001 Rokeby Avenue - 90 acre park and conservation area with 3+ miles of trails and a century old forest - the crown jewel of the Eastern Branch watershed. Built out during the 1940’s through 1970’s the area suffers from aging infrastructure and a lack of modern “Best Management Practices” for the environment stewardship. There is limited public green space and practically no public access to the tidal Indian River. The waterway is on the Impaired Water List and the state and the city are working to meet Total Maximum Daily Load (TMDL) restrictions for these pollutants. 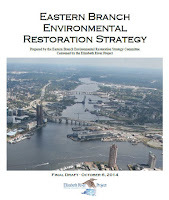 In 2014, the Elizabeth River Project released the Eastern Branch Environmental Restoration Strategy defining a set of goals for the area including increasing public awareness, providing more public access, expanding the River Stars program, restoring habitat, and improving water quality. The Friends of Indian River have been working with the City, the Elizabeth River Project and other partners toward these goals. NOAA Tide and Surge predictions at Sewells Point in Norfolk. Have a useful link to add? Let us know!